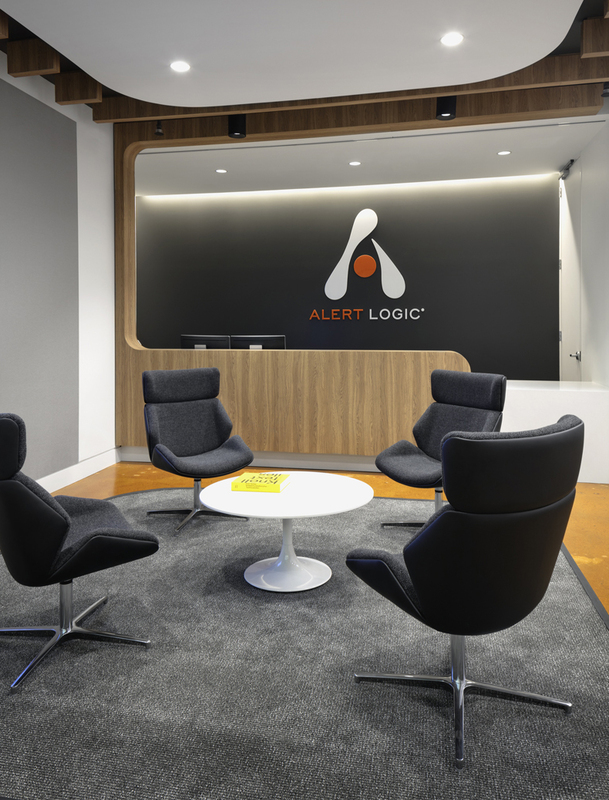 Our team worked collaboratively with Alert Logic to re-stack and renovate their existing corporate headquarters. The program for the new space focuses on retention + attraction as well as a collaborative open planned environment. 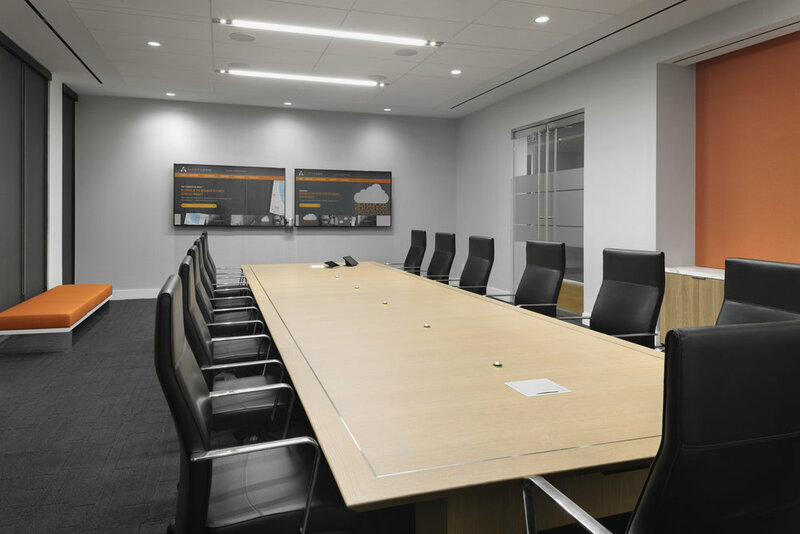 Level 1 is designed as a new conferencing center and fitness facility for the vertical campus.